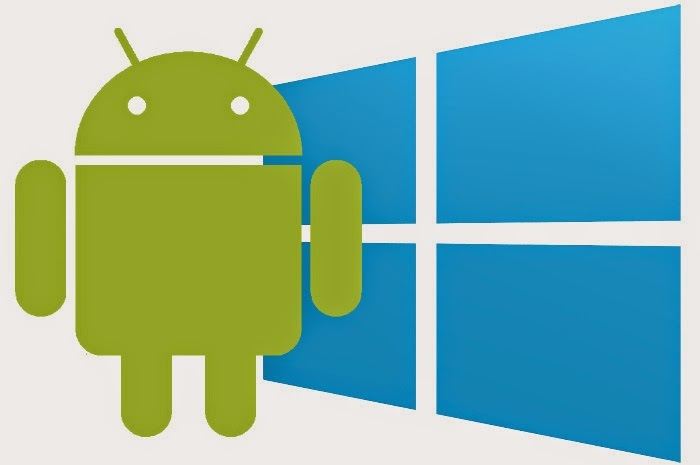 Today, there are lots of smartphones available on the market, so sometimes we get confused to choose a particular model out of hundreds of smartphones. In fact, there are lots of factors we need to consider. 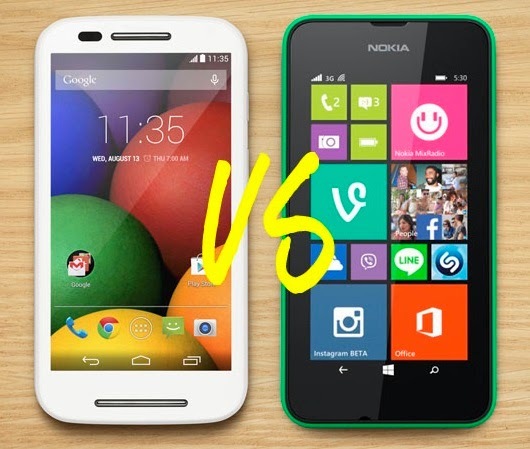 This article talks about how to differentiate the two popular smartphones: Nokia Lumia 530 and Moto E. Hope you will like it and will be able to make a decision to choose the most appropriate one for you. Let’s get started. First of all, I would like to mention that both of them are very good smartphones, so you can buy any one of them, but to get the most out of your money, you might do some research. This article will help you a lot. Price is one of the most important factors for choosing a smartphone. If you want to pay less than the Nokia Lumia is the suitable one for you. The Moto E costs around 89 pounds while the Nokia costs around 60 pounds, so the difference is about 30 pounds, which is not a small amount for many buyers. Design is another very important factor you need to give a lot of attention to. Smartphones look really sharp, nice. Both of them look very cool, similar. 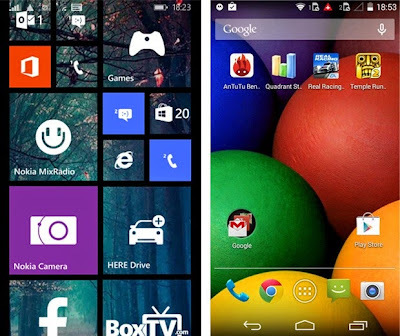 The Nokia Lumia 530 is lighter than the Moto E. The windows phone weighs 129g while the Moto E weighs 142g. Nokia is also smaller than the Moto E. The Nokia Lumia 530 is 11.7mm while the Moto E is 12.3mm. 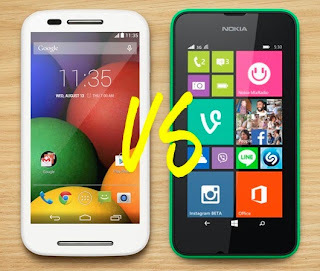 Surely, the Moto E has a better display than the Nokia Lumia 530. The Moto E has a 4.3 inch display with 540x960-pixel resolution. It has both anti smudge and splash proof coating. You will be happy to know that it features Gorilla glass too to protect your screen. But the Nokia Lumia 530 is not loaded with that many features. It is a phone with a 4-inch screen with 480x854-pixel resolution. Storage is very important today. The Nokia Lumia 530 provides better storage than the Moto E phone. It supports microSD card which can be expanded up to 128GB while the Moto E can support up to 32GB. Remember, both of them provide 4GB internal storage. None of them has a top quality camera. So, if you need top notch photos, then you need to buy another smartphone not anyone of them. 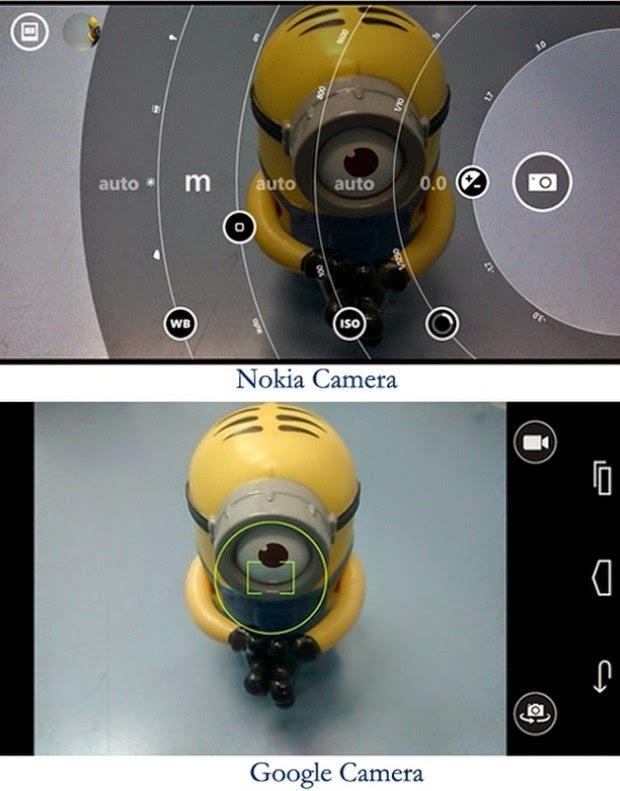 Both of them provide 5MP resolution with fixed focus. For capturing video, the Nokia Lumia 530 is better as it is capable of capturing at 480x854-pixel resolution while the Moto E is capable of capturing video at 720-pixel resolution. None of them has flash and a front facing camera. They provide pretty similar connectivity: Wi-Fi, GPS, Bluetooth, etc. None of them is compatible to 4G. This is very important. You should try to buy a smartphone with long battery life. The Moto E features a 1980mAh battery while the Lumia features a 1430mAh battery. Remember, they have different screen size, so the backup time depends on it as well. If you are looking for discount offer on mobile phones visit leading online store flipkart and shopclues and get the additional discount on mobiles. For more offers and deal visit CouponzGuru.com.